Thank you to Mom’s Best for sponsoring this post. As always, all opinions are truly my own! 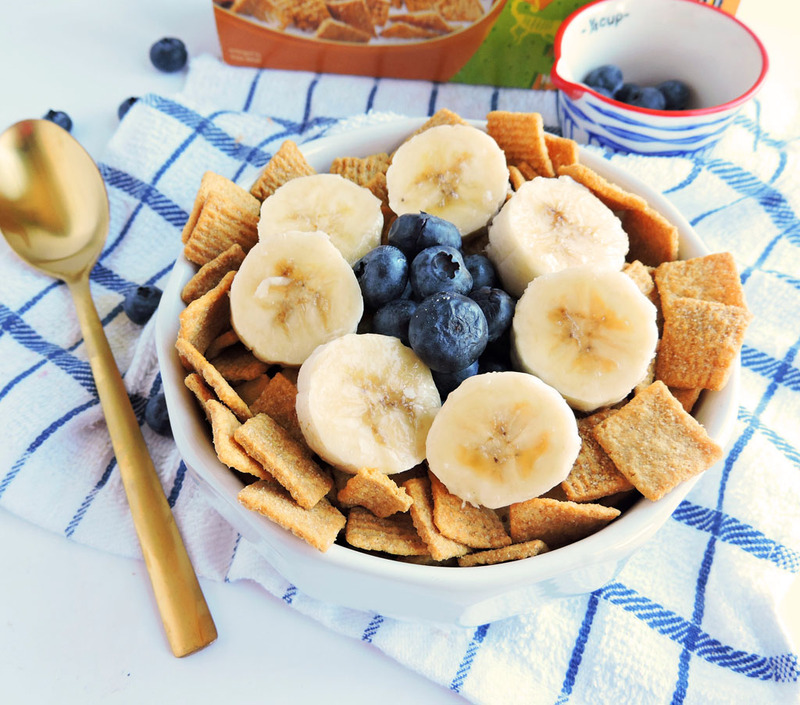 Now that school is officially back in session, it’s time to get creative with breakfast and put together a tasty, brain-fueling meal for the kiddies! As we all know, breakfast is the most important meal of the day! 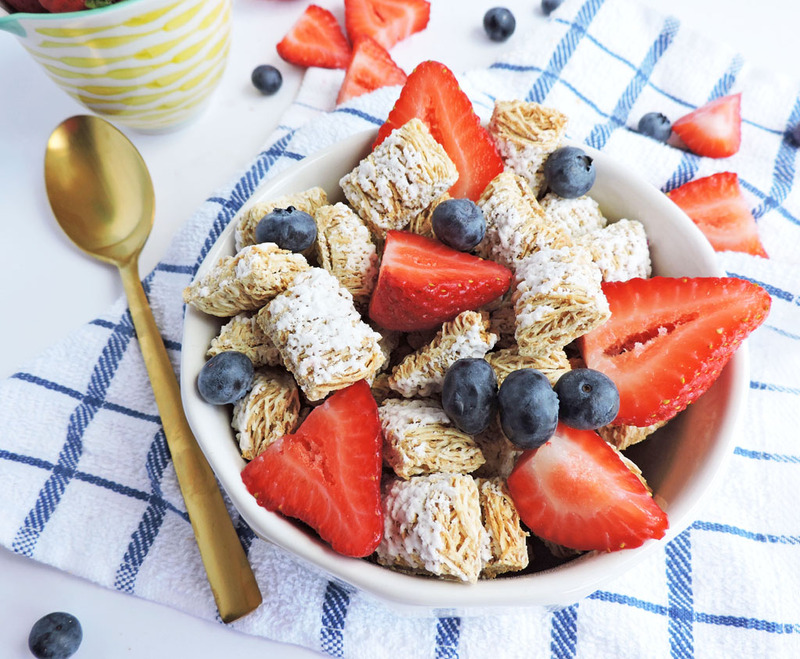 As a Registered Dietitian Nutritionist, I try to make sure that my kids are getting a breakfast that’s not only satisfying but also filled with nutritious goodness, such as Mom’s Best cereals! Mom’s Best cereals contain quality ingredients and are free of artificial flavors and preservatives, which is why it’s my number one choice! Today, I’m going to show you a few quick and easy ways to make your back-to-school mornings nutritious and fun! I keep tons of cereal on hand because my kids LOVE to eat cereal for breakfast, lunch, dinner, and snack! Because of their cereal obsession, I have to make sure that I choose products that not only taste great, but also contain tons of nutritional value! During my weekly grocery trip, I love to stock up on Mom’s Best cereals! 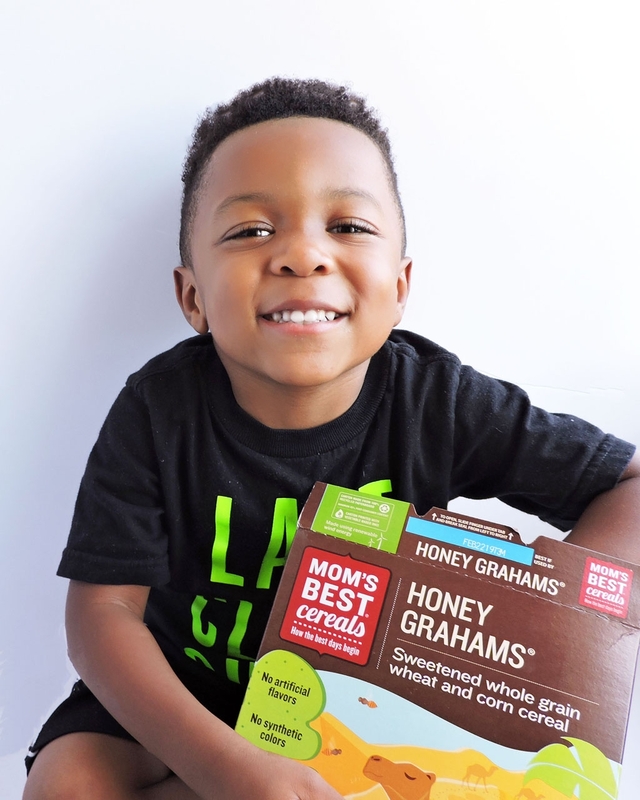 I love that they have a Simple Goodness Promise that guarantees every box of cereal is affordable, tasty, and made with quality ingredients, such as whole grain wheat! This is very important to me because I like to make sure that my kids are eating a well-balanced diet and getting an adequate amount of fiber each day. The recommended daily fiber intake for most adults and kids ranges between 19-35 grams, but unfortunately most individuals do not meet their daily requirement. 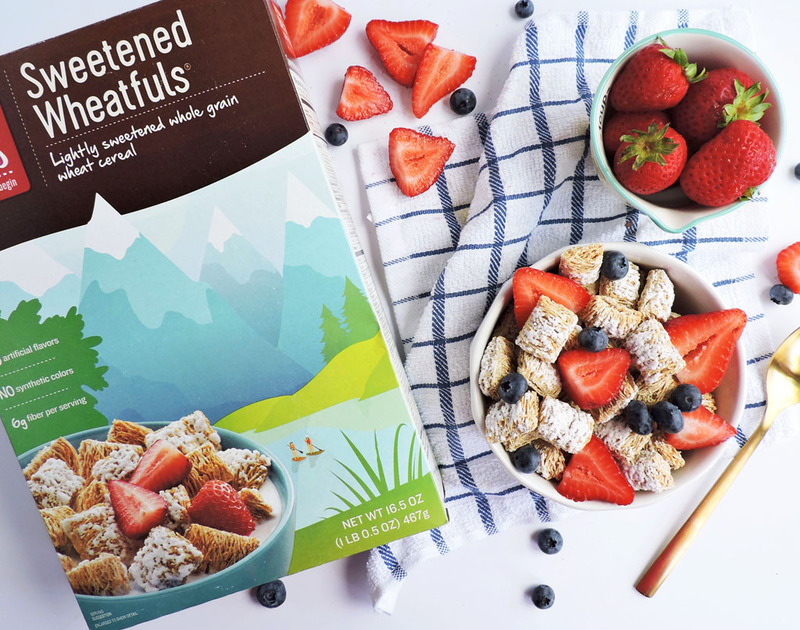 Luckily, some of Mom’s Best Cereal, such as the Sweetened Wheatfuls, provide 20-30% of the daily recommended fiber intake in just 1 serving! #Winning! On a typical morning, I will dress up my kids’ cereal bowls with an assortment of fruit to help keep things exciting! I love to add in fresh berries, bananas, and even nuts! 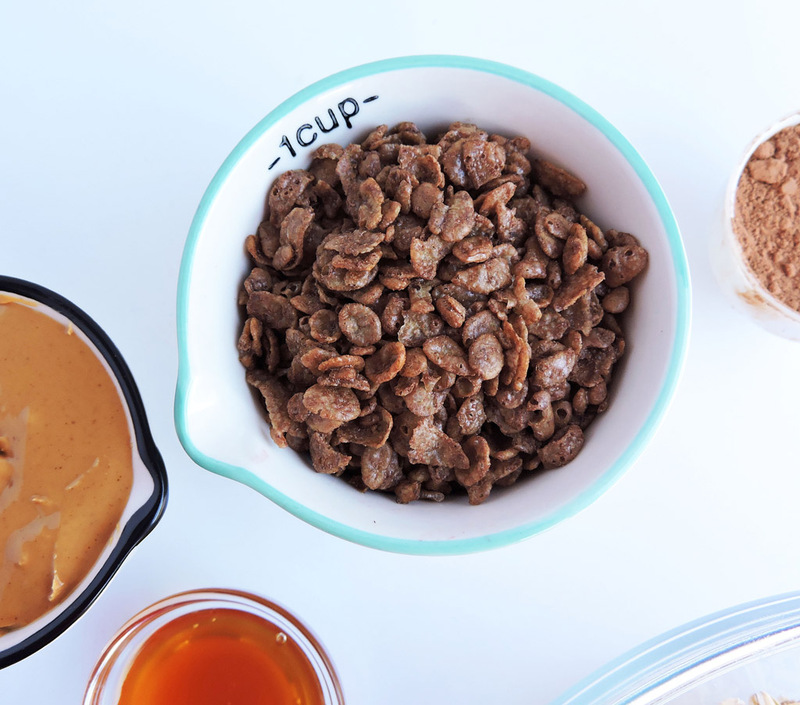 For those mornings that I have just a few extra minutes, I like to whip up easy recipes such as energy bites and an easy energizing snack mix! Both recipes take less than 5 minutes to make and will be a fun change to your usual breakfast routine! The first recipe is my famous Crispy Chocolate and Peanut Butter Bites! For this recipe, I used the Mom’s Best Crispy Cocoa Rice cereal which gave these bites a yummy, crispy crunch! 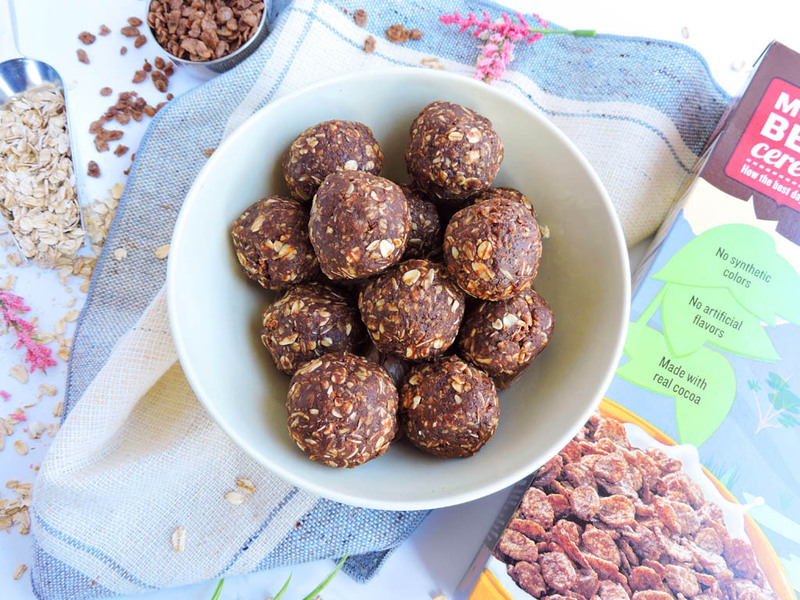 This cereal is naturally gluten free and made with real cocoa! 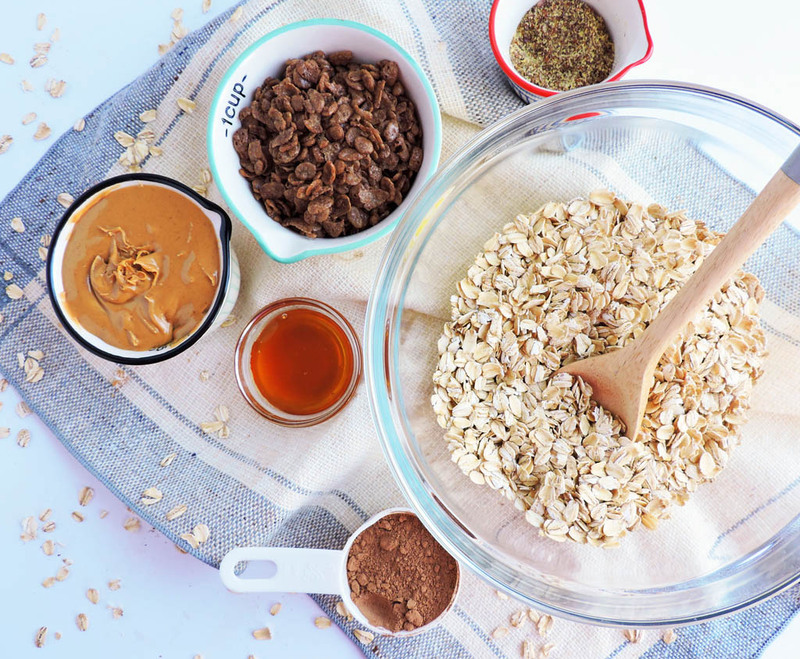 I was able to keep this recipe completely gluten free and even added some additional wholesome ingredients such as, peanut butter and flax seed meal! The peanut butter helps to add protein and the flax seed meal added a little extra fiber to help keep our kids satisfied and focused throughout the day! Here’s the recipe below! Combine all ingredients into a large bowl. Use a large spoon or your hands to make sure ingredients are well combined and form a large, sticky ball. Using a tablespoon, form approximately 1 and ½ inch balls. When using your hands to form balls, wet hands to prevent mixture from sticking. Enjoy immediately or place in refrigerator to enjoy later! 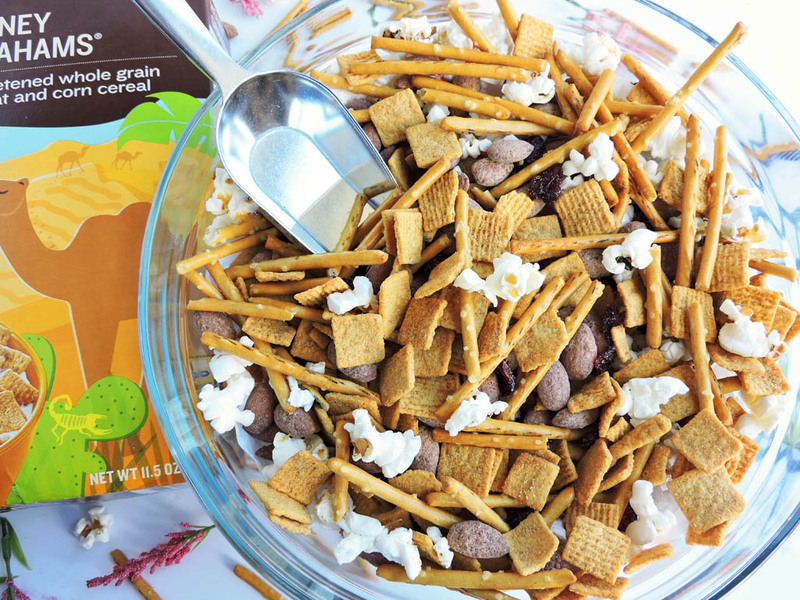 The next recipe is my popular Energizing Honey Graham Snack Mix! My kids LOVE to eat this for breakfast or snack! 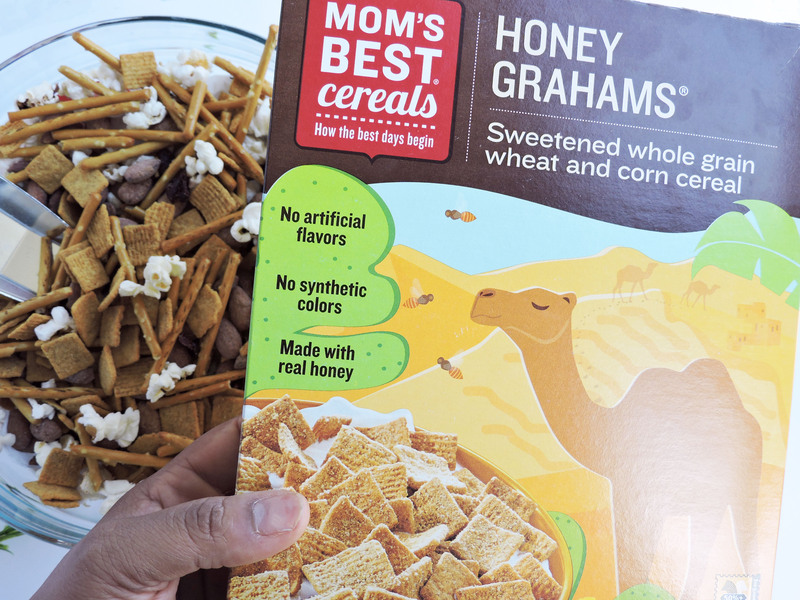 For this recipe, I used the Mom’s Best Honey Grahams cereal which is my kids’ absolute favorite! My oldest son likes to eat it right out of the box! I love this cereal because it’s made with whole grain wheat and contains a great source of vitamins and minerals such as iron, calcium, and vitamin B. It also contains a great amount of potassium, which is why I often recommend it to my patients and clients! In addition to the Mom’s Best Honey Grahams cereal, I added pretzels, popcorn, dried cranberries, and honey roasted almonds for some variety and extra wholesome goodness! Here’s the recipe below! 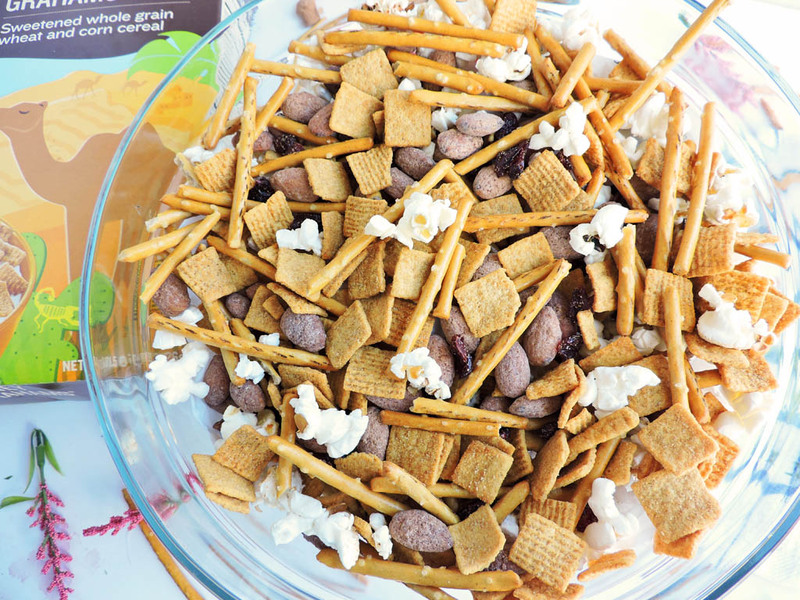 Combine all ingredients into a large bowl, toss, and Enjoy! As you can see, preparing a wholesome, fun and exciting breakfast doesn’t have to be hard or expensive! 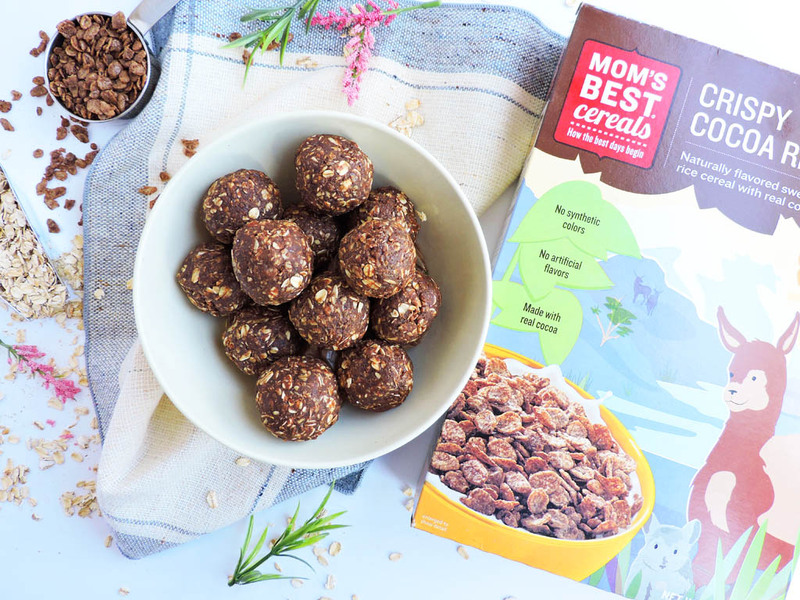 Mom’s Best offers so many great-tasting cereals made with honest-to-goodness ingredients, that are also budget friendly! Being a busy mom and Registered Dietitian Nutritionist, I am all about saving money and providing my kids nutritious breakfast options, such as Mom’s Best! 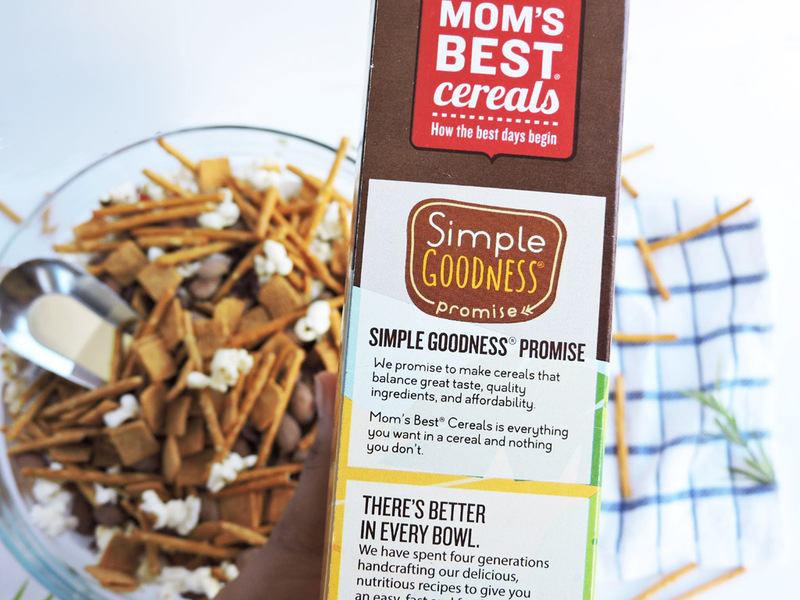 To learn more about Mom’s Best cereals and their Simple Goodness Promise, click HERE! Wow this brand looks so good! And the recipes are easy, I’ve got a toddler and one on the way so this is way better than getting a toaster pastry or something like that. It would make me feel way better to start making things like this. I’m going to try these! Thank you! I try to put together quick and easy recipes for my kids that are also healthy! I hope that you enjoy them! Perfect easy healthy recipes! ❤️ Thank you for sharing! Can’t wait to try them! Thank you! I try to switch things up and give different options! Breakfast is my favourite meal of the day! All of these look perfect, can’t wait to try! !